The rural landscape of Portugal, stretching inland from the coast to the hills of the Spanish border, offers endless possibilities for an immersive and experiential holiday - touring wine estates, exploring medieval walled towns, walking and cycling to name but a few. On this 7-night fly-drive itinerary, we will take you away from the Atlantic coastline to the hidden gems of the borders, where dramatic hilltops, large river valleys and friendly locals await. On arrival at Faro Airport, collect your hire car and drive northeast to Beja (148km 1 hr 35 mins). For those arriving on an early flight, we would highly recommend that you take a longer, yet more scenic drive, through the Guadiana Valley Natural Park; a protected area with exceptional natural beauty, waterfalls and dramatic ravines. Overnight at Pousada Convento de Beja. Take time to wander amongst the Roman archways, Visigoth art and Manueline architecture of Beja. Sites of interest include the 15th century Church of Santo Amaro, the Castle and the Praca da Republica. Recently re-opened are the public gardens in Beja from which far reaching views can be enjoyed. The gardens have another claim to fame and that is its Wollemi Pine tree, one of the oldest species of tree, pre-dating dinosaurs and one of just four in the world. Drive from Beja along the Portuguese/Spanish border to the small town of Marvao (202km 2 hrs 40 mins). On the way stop at Evora. Walls encompass the city which is an UNESCO World Heritage Site, and if time allows the hilltop walled town of Estremoz topped by a magnificent castle. Like other towns along the Portuguese border with Spain, Marvao has a very well preserved medieval castle and commands spectacular views across the basin of the River Tagus and the Serra de Estrela to the north. The town is a near impregnable fortified rock and being on a frontier zone countless nations and races have left their mark. The town of Crato is worth visiting from here and it is an easy drive to the very beautiful Spanish Extremadura towns of Caceres (118km, 1 hr 45 mins) and Trujillo (165 km, 2 hrs 10 mins). The Pousada in Marvao, made up of a series of very pretty traditional houses near the top of the town and below the castle. Overnight at Pousada do Marvao. Drive from Marvao to Viseu is a 3 hour drive (265 km) across plains and mountains. This charming hilltop city is, in our opinion, one of the unknown gems of Portugal and a great place to get lost in its maze of narrow alleys and cobbled streets. At the heart of the city is the Cathedral, an outstanding building with Manueline, Renaissance and Mannerist influences. Surrounding Viseu is a lush countryside home to vineyards, medieval villages and the Serra da Estrela Nature Reserve. Overnight at Pousada de Viseu. Drive from Viseu to Porto Airport (139km, 1 hr 25 mins) for your return flight to the UK. This impressive Pousada, originally built in 1268, was a Franciscan monastery and is centrally located in the city of Beja. This impressive Pousada, originally built in 1268, was a Franciscan monastery and is centrally located in the city of Beja. 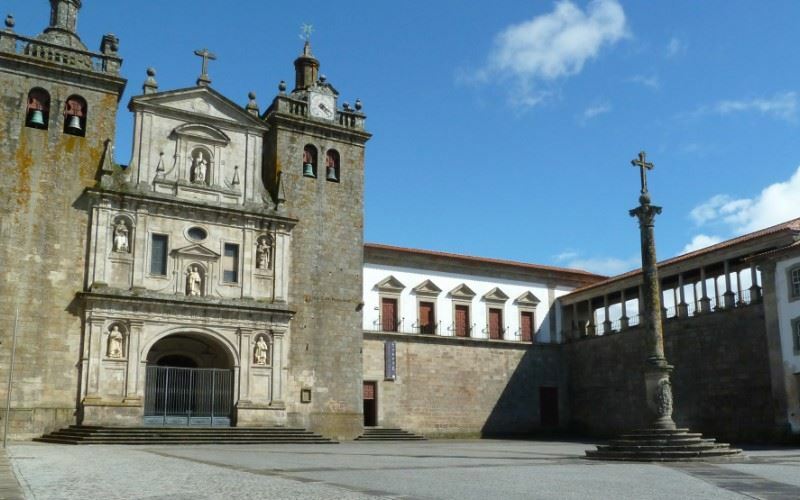 Today, after major repair and restoration, the Pousada Convento de Beja provides comfortable lodgings in a splendid centuries-old structure which still retains its former chapter house and cloister dating back to the 1300’s. Restaurant serving an excellent choice of regional cuisine. Complimentary WiFi in the public areas. Activities that can be arranged locally: archery, bicycles, birdwatching, horse-riding, country walks and water sports on the lake. Viseu is the main city of the central region of Portugal. It is little known but has a very beautiful old quarter in the city centre. Viseu is the main city of the central region of Portugal. It is little known but has a very beautiful old quarter in the city centre. Viseu is one of the unknown gems of Portugal. The city is of Celtic origin and is the centre of the wine industry in the central region of Portugal. An excellent base for exploring some of the least known, yet exciting regions of Portugal, especially the Serra da Estrela Nature reserve, the highest mountain range in Portugal hiding many medieval villages. The Pousada and spa is set within the converted hospital building of São Teotónio, dating back to 1842. Three statues guard the entrance to the pousada: Faith, Hope and Charity. The building overlooks the rich architectural heritage of the old city of Viseu. The conversion from a hospital to a hotel is very interesting and features an enormous lobby/atrium. The various stages of the renovation are featured in various photographs and plans which are hung on the walls in the public areas.